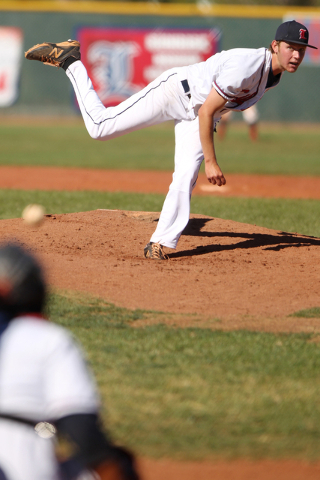 Liberty’s Jacob Klein didn’t have his best pitching outing last week in a nonconference game with Bishop Gorman, so the junior right-hander was champing at the bit to get back on the mound. He certainly got some validation on Monday against rival Silverado. 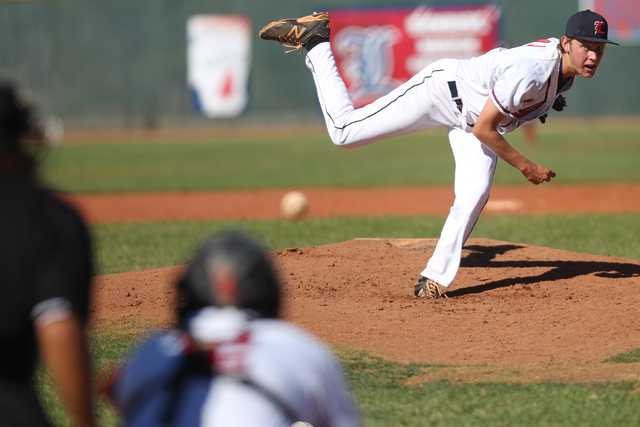 Klein gave up just one hit over six shutout innings, and the Patriots hung on for a 4-1 home win over the Skyhawks to lock up the Northeast League’s top seed for next week’s Sunrise Region playoffs. Silverado (19-8, 5-2) will host Las Vegas (15-12, 4-3) on Wednesday to determine the No. 2 seed. 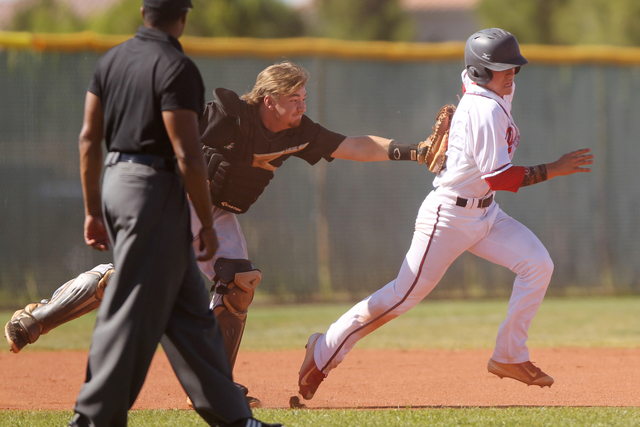 Klein, who gave up nine runs on seven hits in one inning Friday against Gorman, returned with a vengeance Monday, finishing with five strikeouts and three walks for the Patriots (18-9, 7-0). He carried a no-hitter into the sixth inning before Dillon Johnson’s one-out single. 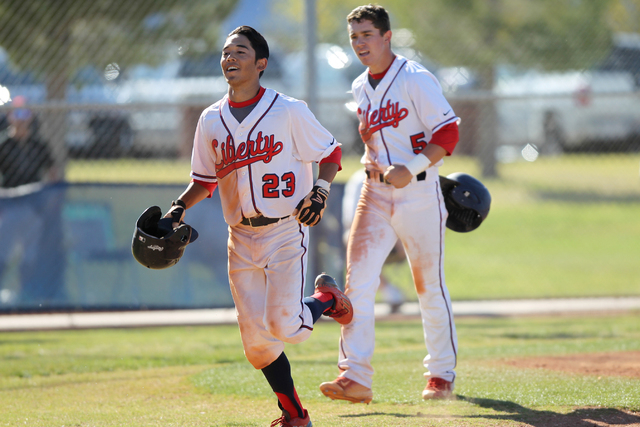 Liberty’s offense came through in the third inning with support. Brandon Soratos, who singled to lead off the inning, advanced to third base on a sacrifice bunt and a wild pitch by Jordan Thomson to set up Jonny Gilleres’ RBI single. 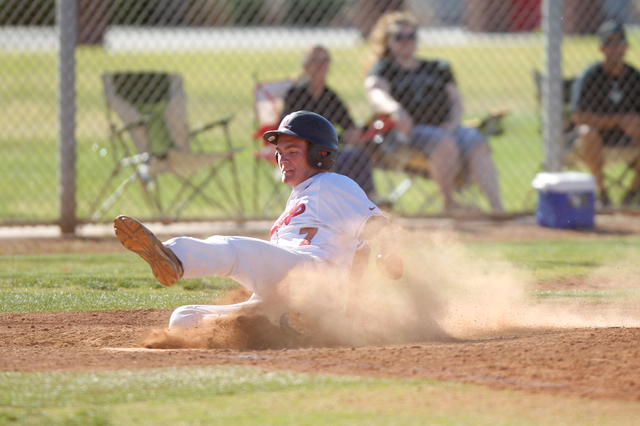 The Patriots then added three runs in the fifth inning to give Klein plenty of breathing room. Trevor Mullaney hit a stand-up double before coming home on an RBI single to right field by Nick Rush to make it 2-0. Gilleres, who finished 2-for-3 with a run and three RBIs, followed with a two-run homer to right-center to put the Patriots up 4-0. 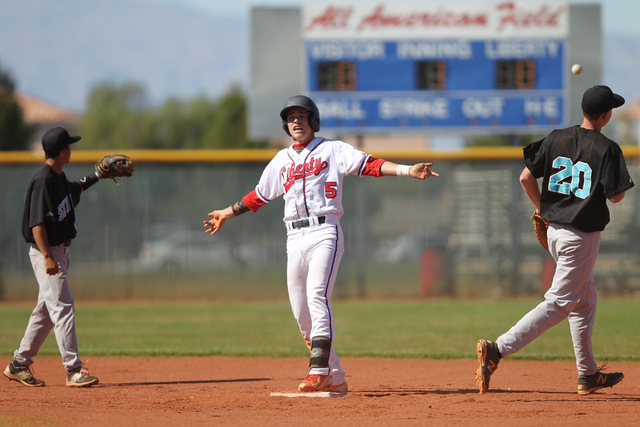 Silverado fought back in the seventh inning on an RBI single by Johnson, but left the bases loaded to end the game. 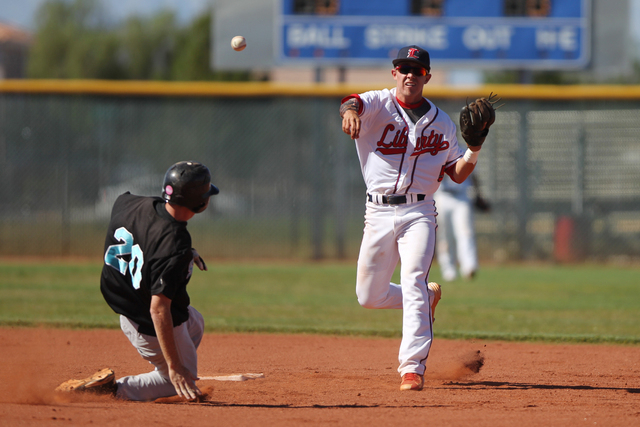 Johnson went 2-for-4 with an RBI to lead Silverado.